What a great series of words. Design.Build.Transform. If you design something and build it, you have transformed that space. It could be a lego tower or a real-life skyscraper, a collection of chairs in a room or a new library for your town. You have the power to think about it and make it happen. How cool is that? 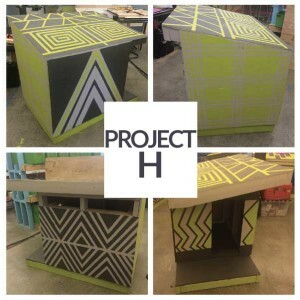 The organization, called Project H, located in Berkeley California, helps kids to do just this – to think about change and to make it happen. And what kinds of things do they accomplish? 24 community design and architecture projects have been completed, 16 of which were designed and built entirely by our youth participants. These projects include a 2000-foot farmers market, a school library, an outdoor classroom, farmstands, and a tiny home (in production now!). For teachers who want some ideas and curriculum about architecture for kids, they have amassed a good deal of info that they are sharing in their Toolbox. Visit the architecture education Toolbox and get some great ideas for teaching about architecture to kids. Or ask us. We might be able to help too. See all of this on their website.